ProSupps 100% Whey Protein is a High Quality Whey Protein which is Gaurenteed banned substance free and informed choice approved. Offers Whole Food Benefits While Driving Protein Synthesis! 100% pure premium whey protein in each scoop. ProSupps PS Whey is the premium choice for meeting your daily protein needs. Containing 24g of 100% pure, premium whey protein per serving, you can focus more on your next workout or next task and not on the quality of your protein. 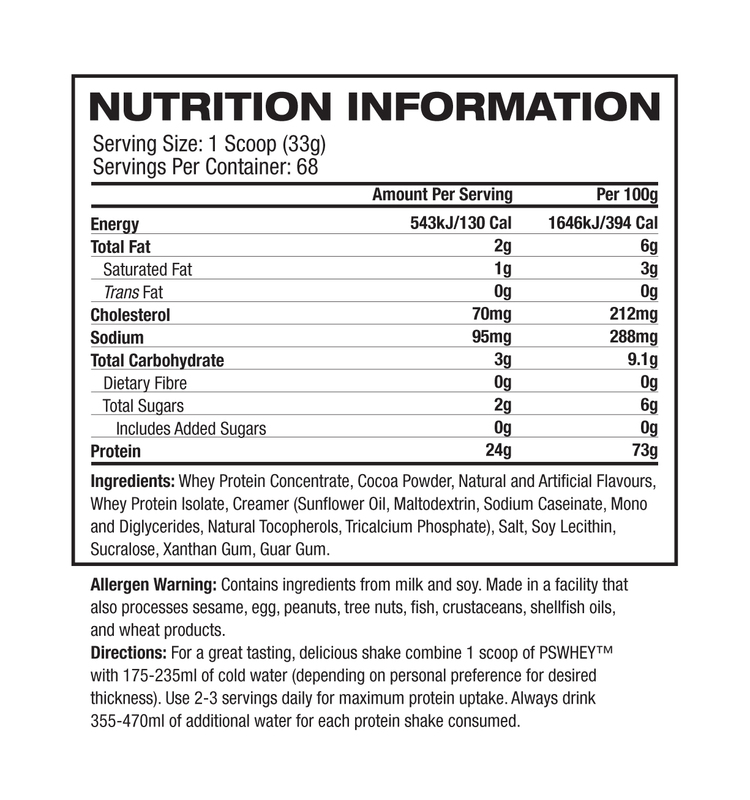 PS Whey harnesses the power of both whey protein isolate and whey protein concentrate. This unique combination offers unique ͚whole food͛ benefits while driving protein synthesis to maximize your lean muscle growth and repair. Lastly, we know that premium taste is just as important, so we worked tirelessly to bring you gourmet flavors to satisfy even the most discerning of taste buds.